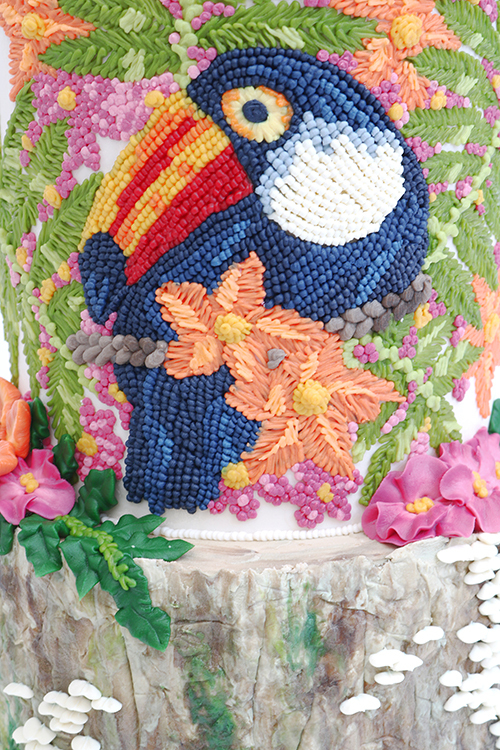 Roll out the royal red carpet because the Queen of Hearts Couture Cakes is here! The Queens, Valeri Valeriano and Christina Ong, has joined us for this fun interview to share a bit of insight into their business and some fun personal stuff too. I am over the moon with this interview because as you may know buttercream has a special place in my heart and these dynamic duos have been inspirational in my buttercream journey. I'm seriously fangirling here. And when I learned that we all came from the same country, the Philippines, I can’t help but have some Filipino/Pinoy pride going on here as well (insert Raising Hands emoticon). 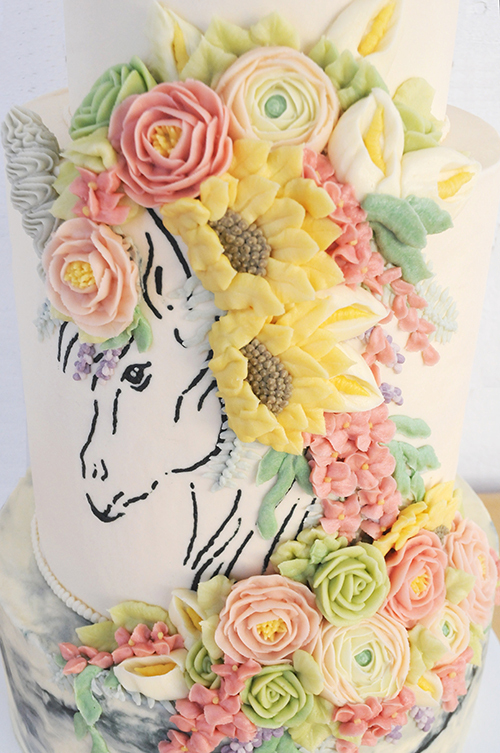 I dabble in many mediums but I must say buttercream is a trickier medium to use with cakes and these ladies had transformed the buttercream landscape with their amazing cakes. 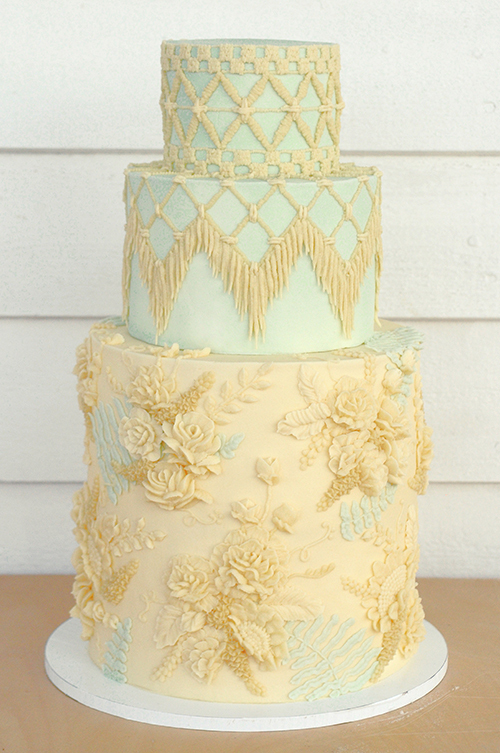 It takes serious skills (and a lot of patience!) to pull these off! And you know what is great? These ladies share their knowledge in their books, online classes and workshops all over the world! 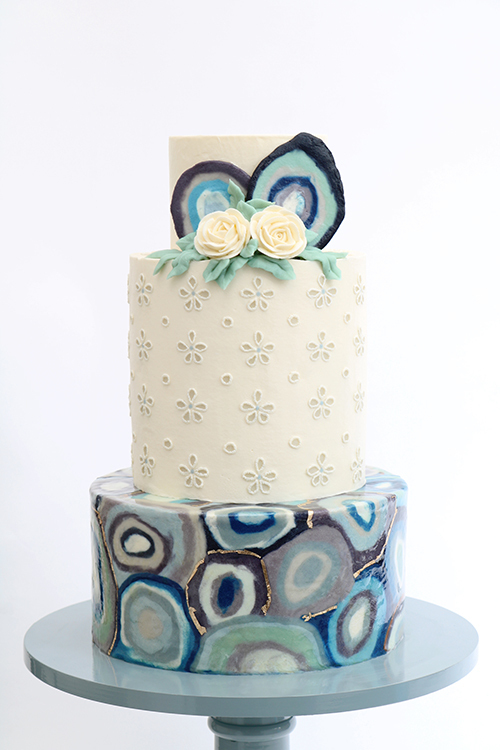 Tell us a little about yourselves, your location, how you met each other and how you got into this cake journey. 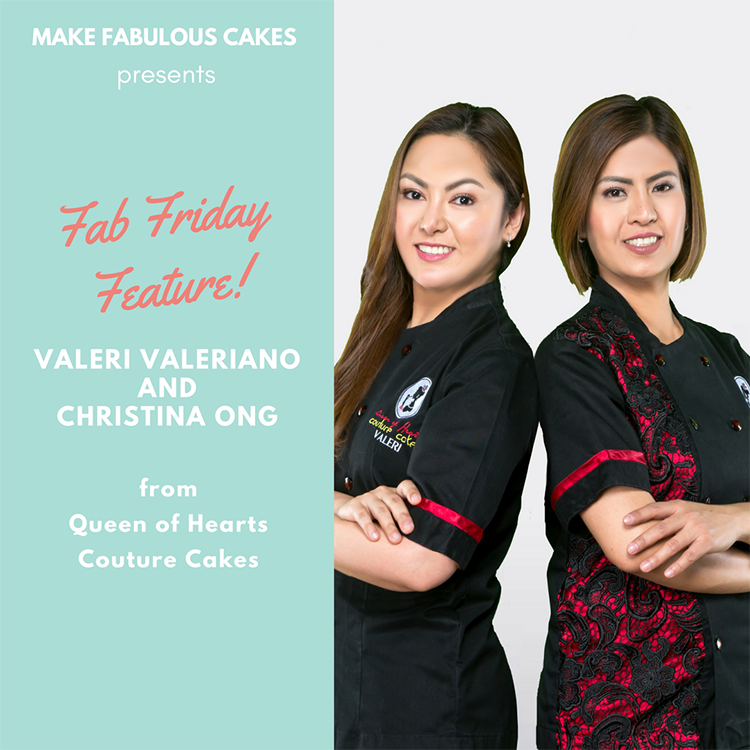 We are Valeri and Christina, 2 crazy best friends, Filipino-British, and we founded Queen of Hearts Couture Cakes (London). We have been introduced by a common friend years ago and we instantly clicked. Christina had worked in the UK for a year and she always wanted to go back and so since we were inseparable, we came to UK together. We used to work as pediatric nurses and our cake journey was just an accident. We wanted to give our two friends (also our employers) whom we consider our “second-moms” something special but not expensive and so we decided to try and bake for them. We scoured the internet and stumbled on a tutorial about making a Sunflower Cupcake using a ziploc-bag improvise. This was when we discovered about buttercream. 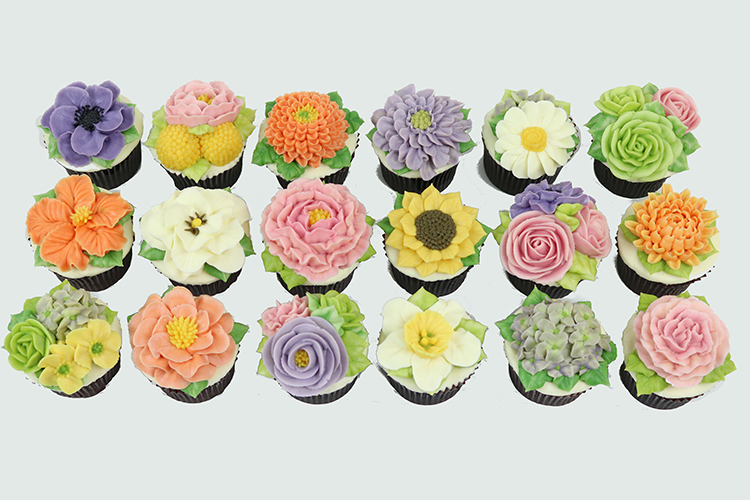 Few clicks after, we saw a tutorial on how to make a cupcake bouquet and instantly fell in love with it. Mother’s Day came, we gave our gifts and they both loved it. One of them was the one who encouraged us to make it into a business. So we opened our Facebook Page, built our own website and just jumped into it. Weeks passed.. then months…but not a single order. It was a really tough business, but we were determined so we have scoured through the internet and searched for all the local schools in our area even the neighbouring cities. We have sent about 50-60 emails introducing themselves and attached a couple of pictures inspirited that they would like them and hopefully order. Again, no one bothered to reply. Then one day, they had a phone call from a local Nursery School. It was one of the organizers for the school’s Summer Fair. They were in desperate need for a cupcake seller as the parent who volunteered could not make it. Even if it was only 3 days until the event, without hesitation, they said yes. As soon as they put the phone down, we rushed to the grocery and bought everything we needed. We did not waste a single second. We baked through the night in our cramped studio apartment. We were not able to sleep as the cupcakes were on our bed..and just everywhere. We have baked about 200 cupcakes, 150 cakepops…in our humble 5 liter oven that can only bake 6 cupcakes at a time. We sold everything and not only they had their first wedding cupcake order but also had invitation to another fair in the local park. It was a very challenging process. We have worked countless hours, made a lots of mistakes, wasted so many butter and icing sugar, broke few hand mixers..the long list could go on. But all these did not really stop us. Instead, these became our inspiration. Not only that we were very keen on perfecting our craft..but also, we wanted to prove that buttercream is not just for filling cakes. 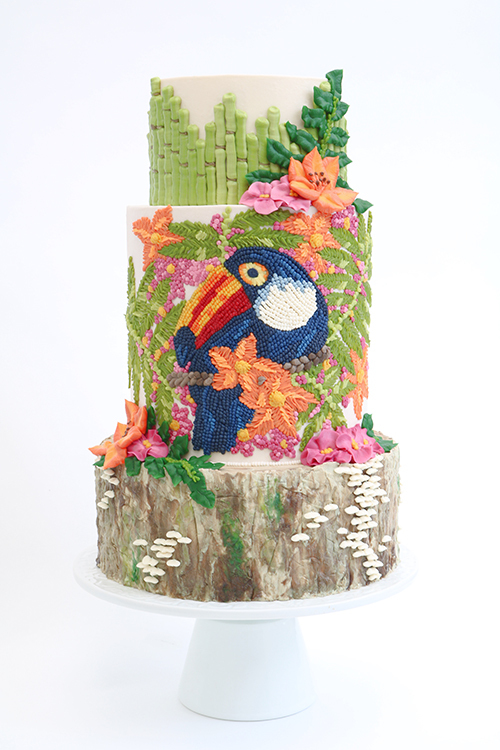 When we were given a chance to showcase our talent at the Cake International Show London in 2012, we made the most of it. It was our first ever live demonstration in front of so many people. We were very nervous and our whole body were literally shaking, but nobody knew. 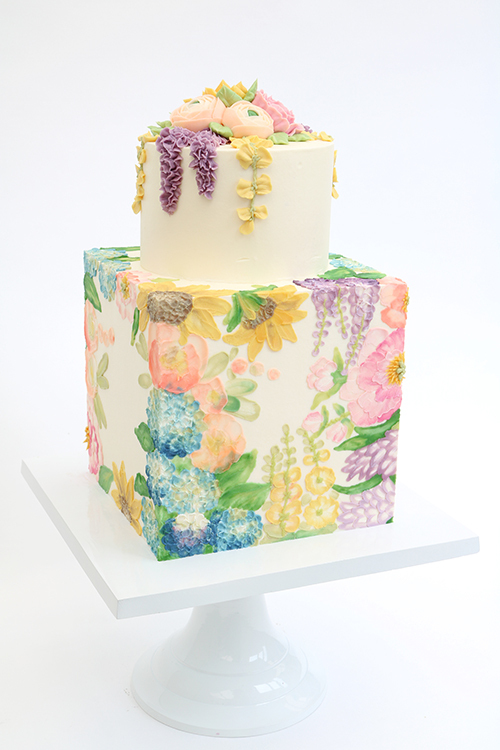 Consequently, we had inquiries and requests to hold buttercream cake decorating classes worldwide, and so we never looked back since. How long have you ladies been in this field? Can you describe to us what your style is? Christina: At this very moment, Valeri has about 26,802 photos and about 990 videos on mobile phone. She takes pictures of “anything pretty” in a form of ANYTHING. From the design process to washing the dishes, do you do it equally, or does each one have a specialty? Valeri: We divide all the work and even the chores (almost) equally, EXCEPT, washing dishes. I hate washing dishes. Design process is always done by both of us...agreed by both of us. If one thinks it’s so so, we scrape it. 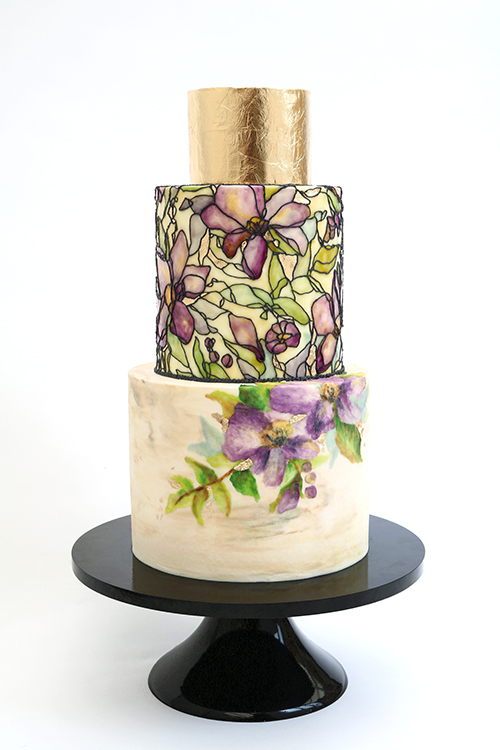 Valeri: The best part and the most rewarding is whenever we get thank you messages from our students and most of all when they send progress photos after they have practiced or when they have used the techniques they learned from our classes to their cake order or competition pieces. And the travels of course. Tell us about your worst cake/work mishap. 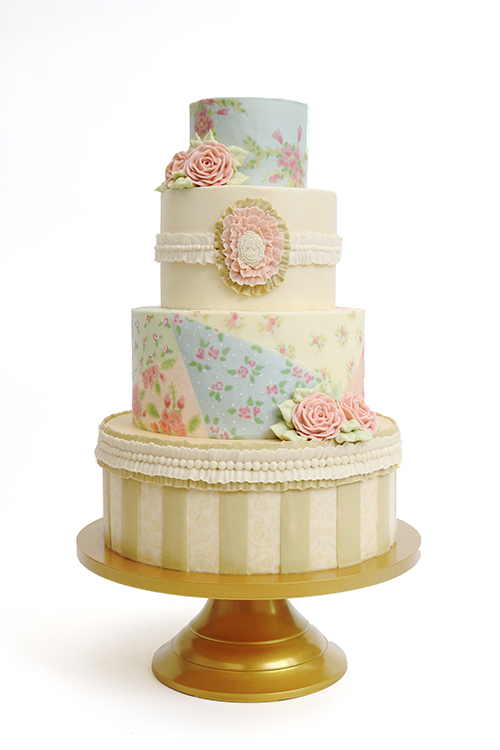 Valeri: It was last year at the Cakeology Show India. We were preparing for our Life-size Buttercream Garden installation with our Team Buttercream (India).There were few other cake artists in the same room as us. 2 buttercream doors were done and and behind them, we have just finished a 6-feet tall topiary. People were about to leave the room and we were just tidying up our spot as well. And then someone must have accidentally moved or bumped (or we don’t know what happened..) the doors and it was like a slow-motion scene in the movies where we watch them slowly fall on to the topiary then topiary fell flat on the floor and as much as we want to do something, we ended up having a buttercream murder scene. Valeri did not cry on this occasion. Tell me the best 3 things about you. Christina: I am very patient (specially with Valeri). Calm(er than Valeri). I am a realist. Valeri: I am very artsy-craftsy. Focused. I am a big Dreamer. Favourite gadget you can’t live without. Valeri: We want to follow and see Northern Lights. If you could only eat 3 foods for the rest of your life, what would it be? Valeri: Cake. Anything eggplant. Pasta. Conversely, what’s the one food you could never bring yourself to eat? Christina: Any food with ketchup and mayo. Valeri: Anything with vinegar or pickled. Last book you have read. Christina: Fifty Shades of Grey. It has been that long. Valeri: Books make me sleep. If you’re a colour, what would you be? And why? Christina: (I am answering for her) Black...because Christina is just nice. Valeri: White...because I am the nicer one. Christina: I clean the house. Lastly, what gets you excited nowadays? Valeri: We get so excited on brainstorming and developing potential new products. At this point, we are developing more styles for our Switch & Swap Cake Stands..so more colours, shapes and styles are coming soon! How can people reach you who would like to know more about you and your business? Wasn't that a serious feast for the eyes? Thank you Valeri and Christina for this interview!